Widely unknown to the common person, Hantaviruses can cause severe damage to the body which can even lead to death. It is generally a respiratory infection that comes from the urine, feces, or saliva of rodents that are affected. Symptoms include fatigue, fever and muscle aches which come after about a week of coughing and shortness of breath. The mortality rate is about 40 percent according to the CDC and there are currently no vaccines or cures.This disease was first seen in 1993 and since then, there have been 728 cases, mostly in rural USA and the rate of cases is only expected to rise over the next few decades due to rising global temperatures. For years, scientists have been trying to figure out how the virus is able to infect the respiratory system with no success. Recently, an international team which includes many researchers from Albert Einstein College of Medicine may have discovered how they are able to infect the respiratory system. To see whether or not taking something out of the genes could block the hantivirus, they perfromed a loss of function genetic screen. They found that the viruses are able to enter the lung cells by unblocking a cell surface receptor called protocadherin-1 (PCDH1). They tested this theory by taking out the receptor from pulmonary endothelial cells in animals and when they did, the animals became highly resistant to the infection. The animals who were left with the receptor died with the virus. Therefore, targeting the PCDH1 could be a way to prevent the infection of the Hantavirus. This is a promising start to hopefully drug development towards prevention and a cure. There have also been anti-bodies that have been made to bind to the epithelial cells and protect them but they are still in testing. Another strain of the Hantavirus which comes from Europe and Asia mostly, causes severe kidney disease but did not enter the body through PCDH1 which means it entered another way. This has yet to be discovered but could lead to another path to a cure eventually. While the Hantavirus may not seem like an issue now, with the climate of the world slowly getting hotter, the virus will only spread more. The scary part about this virus is that although the symptoms seem minor, the disease is fatal 40 percent of the time which is higher than some cancers such as breast cancer although they are both tragic. The problem is that viruses evolve and change so this may not be helpful forever, but for now, its incredible to see how much progress has been done though is such a short amount of time and hopefully, from what has been discovered, a cure and vaccine can be acquired. I found this article to be interesting because I never heard of the Hanta Virus even though it has such a high fatality rate. I believe that the public should be more aware of the disease even though we do not have a breakout of the disease. 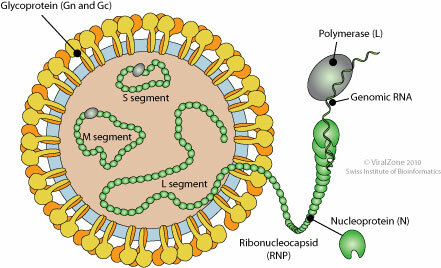 While research is being performed with unblocking the cell receptor, individuals should be informed of the symptoms of the Hanta virus. Nice topic choice, I certainly agree with Danish on the fact that more awareness should be raised for such a deadly virus. What I am most curious on is why a specific strain may be more common in the U.S. than opposed to other geographical locations. It would be interesting to conduct research on what factors allow one strain of the Hanta Virus to flourish in a location versus other strains. The problem seems to stem from rodents. However, this has left me questioning as to which specific species. The broad term of rodents can range from rats to squirrels, even beavers.